This brief highlights MCSP work in Liberia through the Restoration of Health Services project, which aimed to improve adherence to infection prevention and control practices and restore quality health services in 77 health facilities across Grand Bassa, Lofa and Nimba counties. 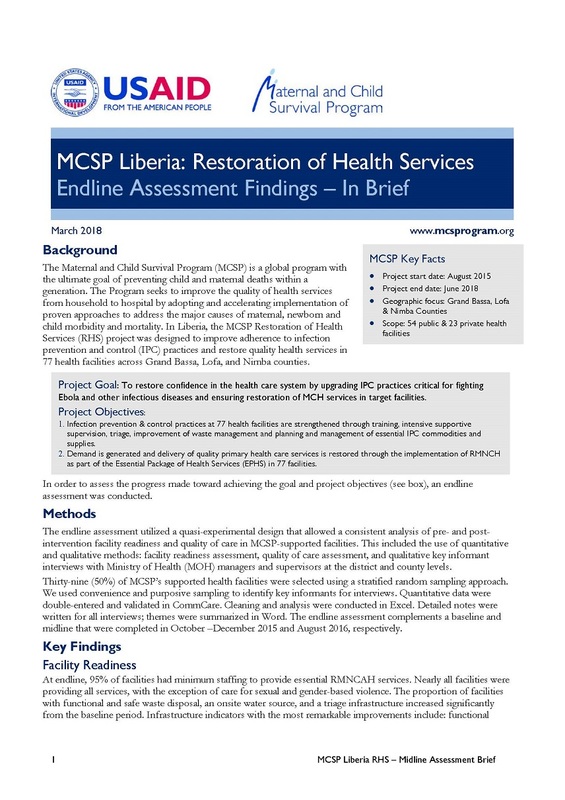 To download the MCSP Liberia Restoration of Health Services Project Endline Assessment Report, click here. Infographics illuminating key data from the assessment can be found here.